Do you ever start moving the furniture around and it gets way worse before it gets better?! Every week I watch what appears to be a cacophony of consignment furnishings come in the door and wonder, “how in the world will I create an inviting, beautiful and balanced space from this eclectic mix of stuff? … the perfect Ralph Lauren cream linen pillows that brighten up the brown distressed leather chair. … a Pottery Barn rug in shades of taupe, teal and amber upon which the pair of contemporary wingback chairs covered in knobby taupe fabric can rest. … a sweet wicker bench with a paisley upholstered seat that fits nicely with the off white shabby chic vintage bed. 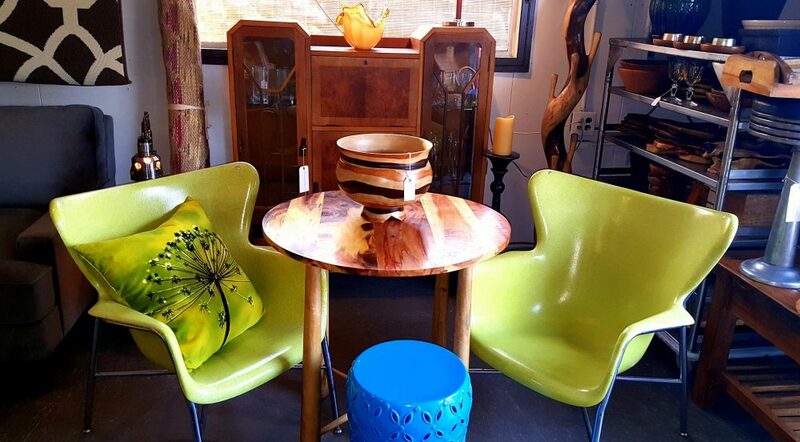 … a side table with a tree limb base and copper top to sit next to the comfy log cabin chair. … the lovely wool and silk throw that drapes beautifully over the antique rosewood entry bench. I Invite you to play around. In your own house. See what works. And what doesn’t. You might discover a fresh new look with what you have. And you might realize you really no longer care for that farm cabinet with the painted cows on it. I encourage you to bring it in. I have yet to find a place to put the 3 foot long wood pig with the curled metal tail. look who got adopted! 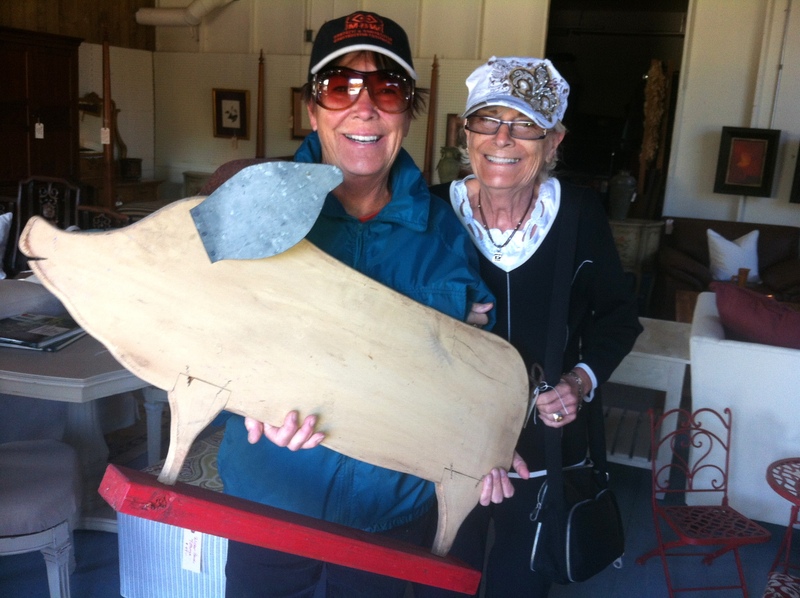 miss piggy, the dwelling station mascot, went home with these two lovely ladies. i think she’s in good hands.